Welcome to Colony North- one of a few well established neighborhoods ideally situated in North Charleston, SC! This quaint, urban community offers quick access to downtown Charleston via I-26. Shopping, dining, entertainment, and large area employers including Boeing, Trident Tech, The Air Force Base, and the Naval Weapons Station are only a short commute away. Colony North, offers a variety of homes ranging from brick ranches built in the late 1970's to innovative and open floor plans currently being built. Newer homes- Homeowners can choose from a wide array of new home designs featuring 1st floor master suites, single-level floor plans, 3rd floor bonus rooms, and more! Best of all, all new homeowners are invited to personalize their new home in our state-of-the art design studio! In addition to beautiful homes, Colony North offers a dramatic community entrance and community sidewalks perfect for an evening walk or jog! Visit today and see why Colony North might be the perfect fit for you. 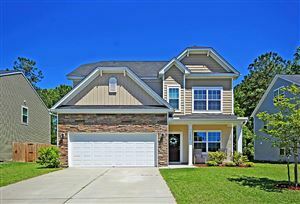 We invite you to come home to Colony North in desirable N. Charleston!